Borrowers, lenders and investors turn to Kevin for his extensive experience with a broad range of financing and real estate transactions. Early in his career, Kevin realized that lending demanded close interaction with clients so loan documents could be tailored to each unique business. It’s work he’s always loved: he enjoys developing relationships with clients and learning their business needs, and he’s passionate about crafting transactions that meet those needs. Kevin’s practice emphasizes sponsor finance and acquisition finance transactions, where he represents senior lenders, sponsors and mezzanine lenders. He finds the intricacy of these transactions fascinating, and has a gift for keeping all the details top of mind. 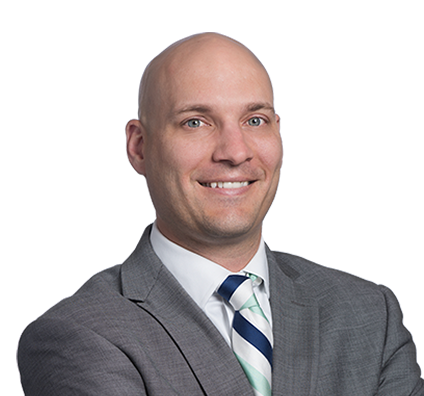 Kevin also advises on large and mid-cap deals, construction lending, asset-based lending, inventory financing, equipment lending and leasing, and Uniform Commercial Code questions, and frequently acts as local counsel to provide transaction opinion letters. He also guides start-up companies and investors through the process of structuring and negotiating seed and angel investments and Series A investment rounds. Clients value Kevin’s extensive experience and knowledge—he’s authored the Kansas and Missouri chapters of various national treatises. They also value his pragmatic approach. Kevin is known for taking a realistic view of deals, with an emphasis on clients’ main goals. Represented senior lender providing financing in sponsor-led acquisition of telecom company. Represented senior lender providing financing for acquisition of large commercial printing operation. Represented lender in construction financing for historic-hotel renovation. Represented private equity sponsor in financing acquisition of manufacturing tooling and distribution company. Represented private equity sponsor in financing series of roll-up acquisitions in warehouse supply industry. Kevin is an avid runner and devout Sporting KC fan who spends as much time as he can with his two sons.